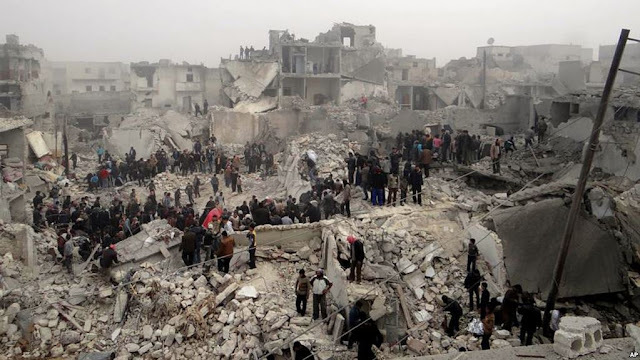 We haven't talked much about it but the barbarity that the people of Syria, and Iraq are going/have gone thru because of the fighting is off the scales. The people directing all this carnage don't seem to care either. The video is graphic and I'll put it in the comments section but if you choose to watch it, it educates. Some farmer was out on his tractor and a group of gunmen came up to him, stole his tractor and executed him. Pretty horrific but I'm sure just part of the daily rhythm of the place now. There is a special place in hell for people that are pushing this thing. We need to punch out. This has long ago become NOT worth it. Not for us or the people that actually live there.